Serengeti Wildebeest Migration Safari the truly remote and wild places of northern Tanzania on this comprehensively private Tanzania safari. All our safaris use well-maintained and extended Toyota Land Cruisers, with roof hatches for unobstructed and up-close game viewing and private Tanzanian safari guide. Once you’ve got a rough idea, you can easily send us an enquiry so we can put together a firm quote! 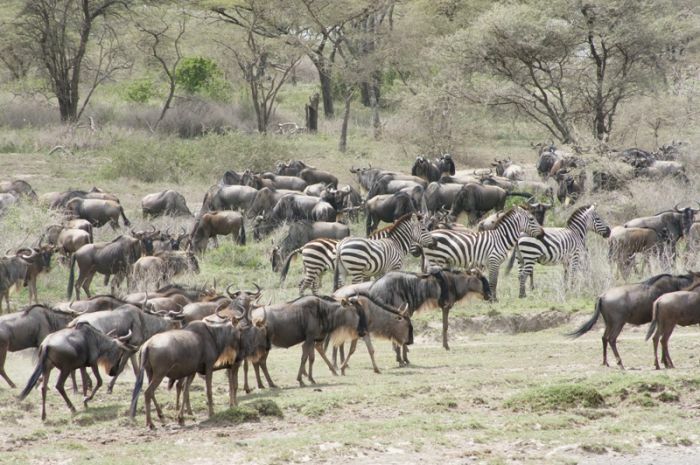 This 5 days safari package offers an experience of 3 days in the Serengeti National Park. It best suits between the period of July to October.